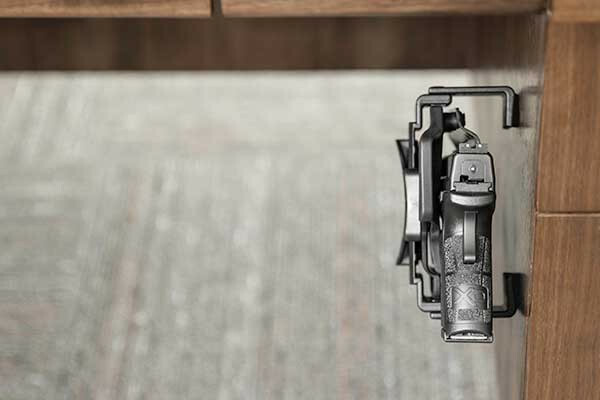 The Cloak Dock Holster Mounting System is patent pending. 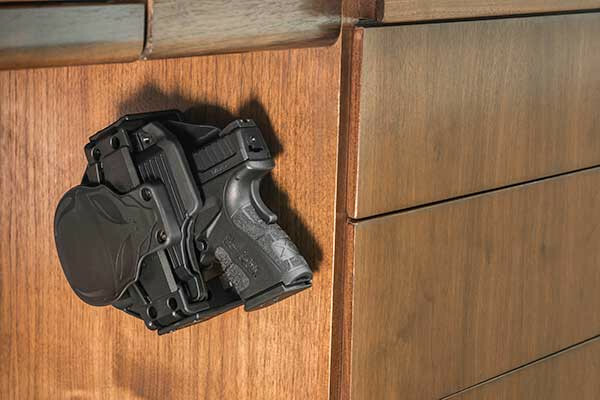 Attach your Cloak Mod OWB Holster to a variety of surfaces with the all-new Cloak Dock Holster Mount. Once secured to a surface, you can effortlessly draw your handgun quickly and safely from its holster. 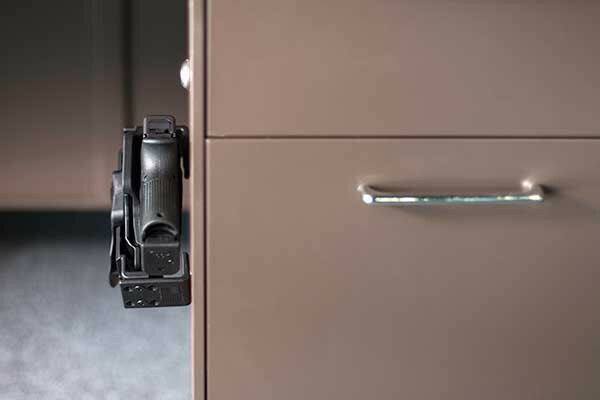 You can mount the Cloak Dock to a variety of surfaces, turning your Cloak Mod OWB Holster into an under the desk holster, car holster, table holster or even a bedside holster. This added convenience gives you the ability to protect yourself and those around you at a moment’s notice. This durable docking system, compatible with our Cloak Mod OWB Holster, is capable of being mounted wherever you see fit. You can firmly mount your Cloak Dock onto a plastic, wood, drywall or sheet metal surface with very little effort. 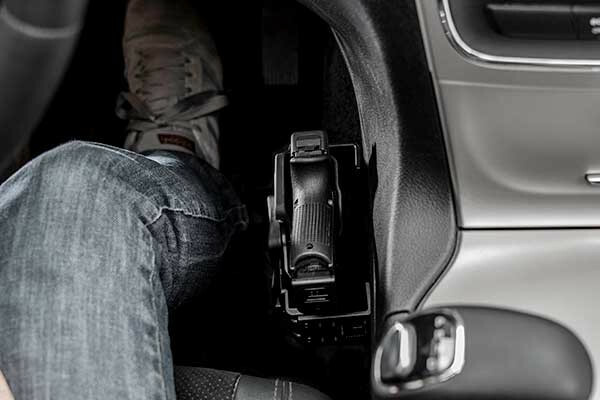 Whether you choose to mount your holstered handgun at your workspace, conceal it at home or wish to have a car holster for the commute in between, the Cloak Dock will always be a safe and effective way to store your gun and Cloak Mod OWB Holster. To hook your Cloak Mod onto the docking system, simply slide the paddle attachment onto the center bar of the Cloak Dock. This simple design allows you to attach and detach your Cloak Mod in a single fluid motion. 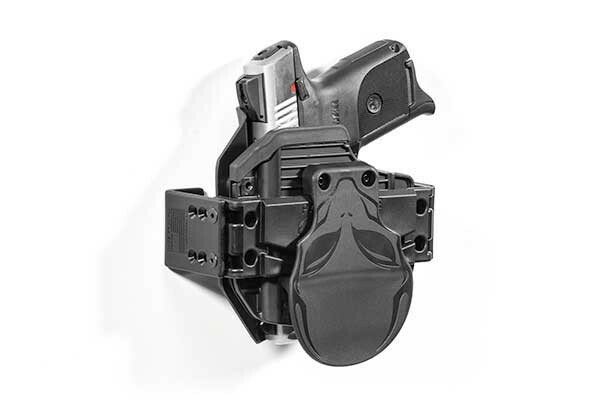 It also provides you with the ability to draw your holstered handgun when attached to the Cloak Dock. To accommodate your personal needs, the Cloak Dock is also fully customizable. 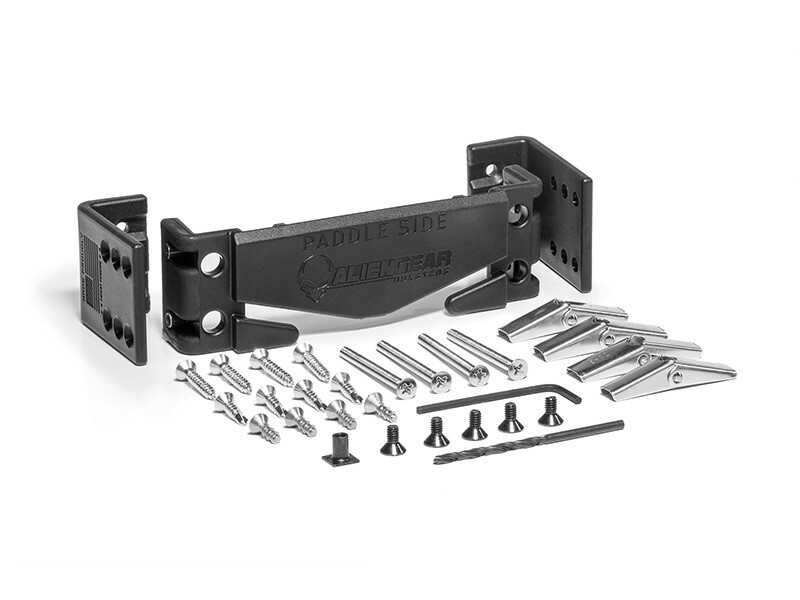 By adjusting the center bar, you can attach your paddle holster to the Cloak Dock in two ways: shell side out or paddle side out. 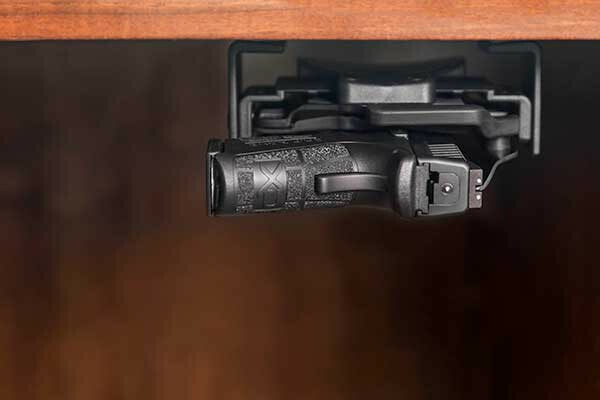 The docking system is also designed with depth adjustment, allowing you to position your handgun exactly where you want it. This accessory is also capable of accommodating both forward and reverse cant. The Cloak Dock is made with an ultra durable and wear-proof polymer, so you’ll never need to worry about damaging this holster mounting system over time. To stand by the quality and craftsmanship of this Alien Gear Holsters accessory, we cover the Cloak Dock with our 30-Day Test Drive and Forever Warranty. This Cloak Mod accessory is available for just $14.88. 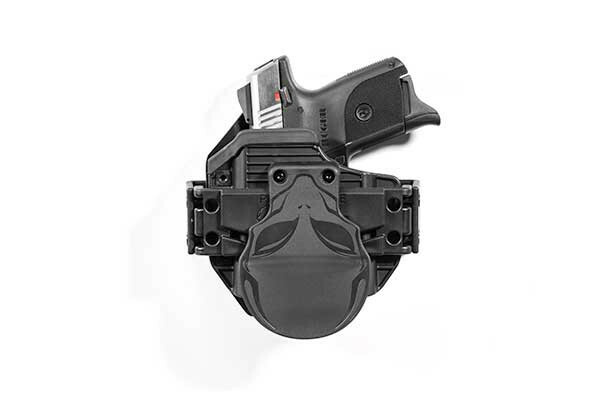 For added savings, pair up this accessory with a Cloak Mod OWB Holster and save $4.88! You can purchase both for just $57.88 when ordered together. I really enjoy having this option in my accessory department. I had this mounted in my car for the last year and a half until my car was recently stolen. I will most certainly be purchasing another one. Have had my mount under my desk for about a year now. It has always been reliable, holding the OWB paddle securely when drawing the firearm.